Many people around the world celebrate Halloween, which occurs annually on October 31. It is the day before All Saints’ Day, and is also sometimes called All Hallows’ Eve and Hallowmas Eve. Costume parties are held and many children go trick-or-treating around this time of the year. Costume parties are held on or around Halloween. Halloween celebrations include costume parties where people dress as witches, ghosts, and animal figures associated with Halloween, or as fictitious characters from horror films, television shows or books. Costume parties are often held at people’s homes, a hired venue, or venues that are supposedly haunted. Many schools around the world, including international schools, celebrate Halloween by hosting costume parades and award prizes for creative costumes. Schools also provide fun classroom activities such as bobbing for apples, Halloween-themed coloring or drawing contests, and other games associated with Halloween. Students also learn about the observance’s origins and history. Many children dress in costumes and form groups that are accompanied by adults to embark on a trick-or-treating adventure. 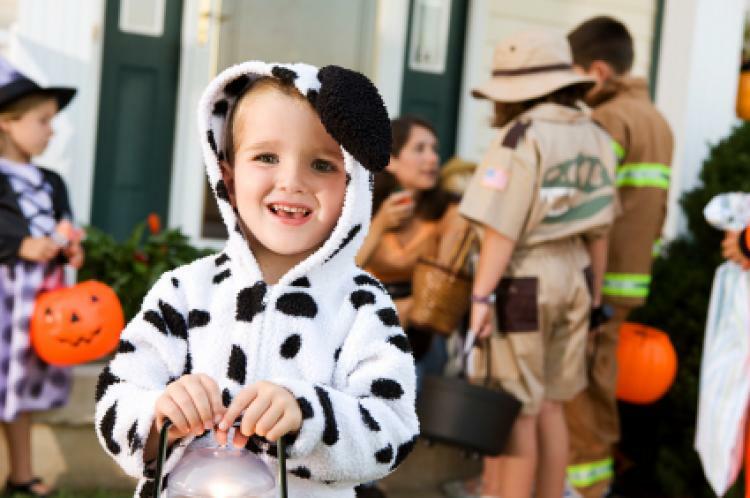 This activity involves children knocking on doors in their local neighborhood and requesting a trick or treat. Some people give out treats while others request a trick, which often involves children presenting a small joke or trick. Many homes are decorated to fit the Halloween theme during this period. Decorations include fake cobwebs, jack-o-lanterns and images of black cats or witches. Halloween is an observance in many countries and not a public holiday. It is observed in countries such as (but not exclusive to) Australia, Canada, the United Kingdom and the United States. Halloween originated from the ancient Celtic festival known as Samhain, which marked the start of winter and the start of the new year. It was believed that the spirits of the dead could return to the Earth around that time. This date later became known as All Hallows’ Eve during early Christian times and was a time to pray for the dead and honor the saints. Many people participating in Halloween celebrations in modern times light candles in jack-o-lanterns rather than bonfires. Other elements of the Pagan celebration are retained, as Halloween is still a night to remember the spirits and other supernatural themes. There are many Halloween symbols. Symbols include animals, such as black cats, bats and spiders, and figures, such as ghosts, skeletons, witches and wizards. Pumpkins, graveyards, cobwebs, haunted houses and the colors green, orange, grey and black are also associated with Halloween. These symbols are used to decorate homes and party venues and are seen on costumes, gift paper, cards, cookies, cakes and candy.